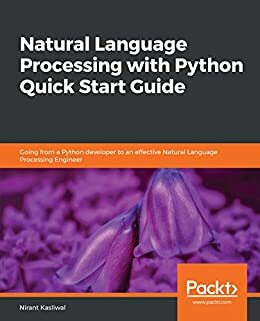 Includes Text Embedding, Linguistics 101, Ensemble Modeling, Chatbots with small data, ML and Deep learning for text classification using tools like spaCy, PyTorch, & gensim. 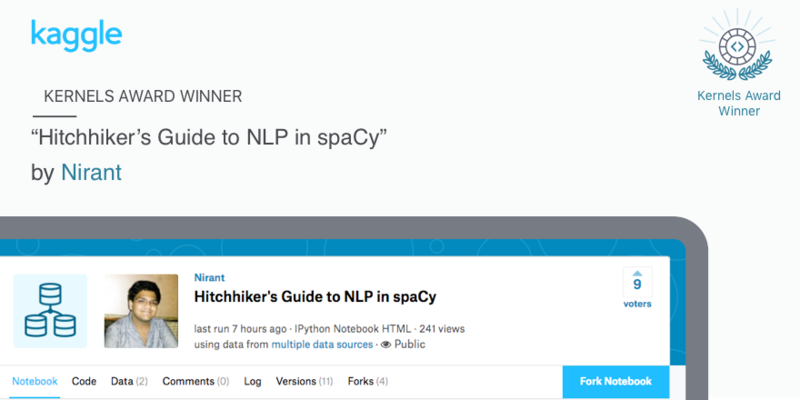 The Hitchhiker’s Guide to NLP in spaCy won the first ever NLP themed Kaggle Kernel award. I won a free licensed copy of Prodi.gy worth $390 with it, and $500 in cash. FactorDaily’s piece on The great rush to data sciences in India ends with a direct quote from me. FactorDaily is a new age news company which sits at the intersection of technology with life, culture and society in India. Ideas range from Vision, Text, Forecasting to Recommender Systems.